Looking for a job in Dallas TX? See below! 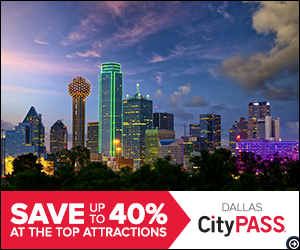 Now that you’re officially a “Dallasite”, it’s time to crack down and find a decent job in Dallas TX. After all, that fancy apartment you’ve landed isn’t going to pay for itself. Been there :/ The good news is Dallas is absolutely teeming with awesome job opportunities in almost every field imaginable, and new corporations are putting down roots here every day. In other words, the odds are definitely in your favor. Whether you’re looking for a long-term career position, a temporary job or a side gig just to get you by or where to volunteer some of your time, there are oodles of opportunities to consider. To get you started, here are a few great places to begin your job or career search from Dallas New in Town. Zip Recruiter – This is like the Mecca of job search sites. It features the ability to apply to jobs with just one click and even has an app so you can conduct your job search on the go. It basically lets you search 100+ job boards at the same time to find your next job fast. Super easy and convenient. Indeed Dallas – From entry level positions to executive management roles in both the private and public sector, the Indeed Dallas job search board is chock-full of great job listings for Dallas. You can also narrow your search by factors like job type (full time, part time, etc. ), location and salary range. Additionally, if you upload your resume, you become searchable by employers as well. Easy button. Linkedin Jobs – You probably already have a LinkedIn profile (if you don’t, get on it), but if you haven’t been on this professional network in a while, you may not be aware of their new and improved job finder feature. It’s pretty intuitive and offers the ability to drill down using your desired criteria. And if you upgrade to a premium account, along with other perks, you’ll get more targeted matching and see which jobs you’d be a top candidate for. Monster.com – Monster is another job opportunity search engine that is popular with employers (it’s been around for decades), so it’s worth taking a look. Like Indeed, you can narrow your search by various details, like full or part time work, skills, distance and more. You can also upload a resume and create a profile so employers can find you. Career Builder – Career Builder is much like the others, but because not every employer posts on every job board, it’s wise to expand your search and also create a profile on each of them. The more exposure your resume gets, the better your chances of landing the perfect job in Dallas. Looking for part time or supplemental income? Consider these! Uber – One of the awesome things about Dallas is its so walkable that you really don’t need a vehicle, but if you do happen to have a car and would like to make a little extra cash, driving for Uber is a great option. It’s pretty cool because it’s entirely flexible – you only need to be “on duty” when you feel like it, so you can set your own schedule and control your income. Lyft – This is another ride sharing service similar to Uber, through which you can make money to drive people around. Lyft also offers the option to rent a vehicle through them, which you can basically use for free provided you give a specified number of rides. Pretty neat! DoorDash – If you’re not yet familiar with this ridiculously awesome service, DoorDash basically an app that matches businesses (typically restaurants) with independent drivers (i.e. “dashers”) to deliver their products. As a dasher, you can make your own schedule and work as much or as little as you want. Favor – The Favor service is similar to DoorDash, except that it offers more than just restaurant delivery. In fact, you can have almost anything delivered from within the specified delivery zone, including your dry cleaning, prescriptions, clothing, groceries, and more (sorry, no booze). Runners get to keep 100% of their tips and also receive a guaranteed minimum earning amount. Not too shabby! Instacart – This delivery service is specifically for groceries, but unlike the others, this company offers a few different employment options. If you don’t have a car or just prefer not to do deliveries, you can become a part time shopper or cashier. Drivers can either deliver or shop and deliver, setting their own schedule and working as much or as little as they’d like. TaskRabbit – If you’re up for doing a little bit of everything (i.e. cleaning, running errands, hanging shelves, putting together furniture, etc. ), TaskRabbit might be a great little gig for you. The nice part is you get to select the type of jobs you want to perform and set your own rates, so it gives you lots of flexibility. It’s a great way to supplement existing income or, if you’re a real go-getter, an unconventional way to make a living. Upwork – If you’re looking for a freelance opportunity, Upwork is a great place to start your search. It’s the result of a recent merger between oDesk and Elance, and is considered to be one of the biggest platforms of its kind. With 5 million registered clients posting 3 million jobs a year, the opportunities are definitely there for the taking. Rat Race Rebellion – This remote job listing site has been around since 1999, so it’s pretty reputable. It isn’t the prettiest site, but it’s chock-full of WFH opportunities that have been screened and verified for authenticity (so you don’t have to worry about being scammed). You can browse their database or sign up to receive regular updates of new postings. Virtual Vocations – Virtual Vocations is a service that provides hand-screened telecommuting jobs to job seekers. They basically do all of the work for you to help narrow down your selection to verified opportunities. You can also sign up for email updates as well. It does require a paid subscription, but it’s a nominal fee and well worth it for those serious about finding a great remote position. College Recruiter – As you can probably tell from the name, College Recruiter is a service designed specifically for college students or recent graduates who are looking for freelance jobs of any type. In addition to being a source for part-time work, it can be a great tool for jumpstarting your career. Listings range from internships and entry-level positions to career opportunities. iFreelance – Similar to Upwork, iFreelance is a website where businesses can post freelance projects and hire independent contractors. Unlike Upwork, freelancers do not have to pay a commission on their earnings (which can really add up). There is, however, a small monthly membership fee ($6.25-$12). Once you’re a member you can advertise to employers, bid on projects, showcase your portfolio, promote your website, and more. Definitely worth a look! Have some extra time on your hands and want to give back to the community. First of all, good on ya. Second of all, here are some resources to help you find ways to contribute. VolunteerMatch – This is a pretty awesome tool where non-profits list volunteer opportunities for things they need help with. You can search the database to find causes that matter most to you and arrange to lend your services. There are both local listings as well as virtual ones, so you can even help people all across the globe. Idealist – Idealist is all about connecting people who want to do good with opportunities for action and collaboration. Currently, the site boasts more than 100,000 organizations and 1.4 million monthly visitors, helping people move from intention to action all over the world. This list should provide you with ample material to find the job, gig or volunteer opportunity that suits your skills and matches your goals. Have another suggestion? Let Dallas New in Town know and maybe we’ll add it to the list. Oh, and good luck with your job search – you’ve got this!